Capacity : As per Customers requirment from 50 liter to 5000 liters. Ball Mill are used for Grinding and milling, Partical Size Reduction for various product like Paint, Pigment, and allied chemical. it is also come with water cooling jacket where acess heat generate by Grinding. 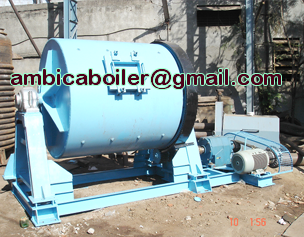 We also manufactureing a ceramic brick lined ball mill as per customers requirment. Following Grinding media can be use : Steel balls/ Natural Pebbles / Flint Pebbles / Steatite / Ceramic Balls.